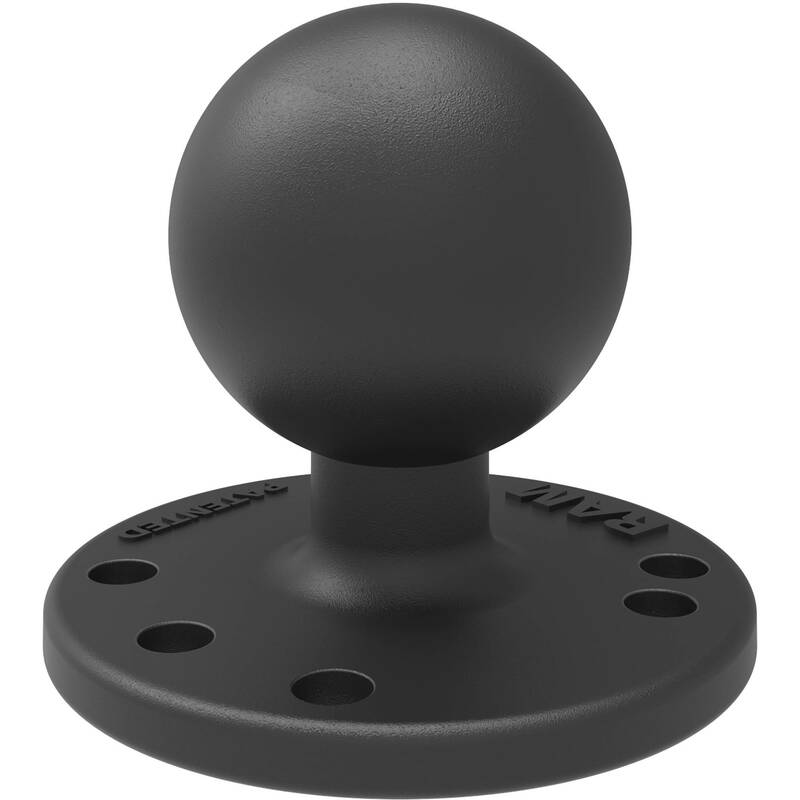 RAM MOUNTS' 2.5" Round Base with AMPS Hole Pattern and 1.5" Ball allows you to connect a wide variety of items to your RAM mounting system. It features pre-drilled holes around its 2.5" round base, including the universal AMPS hole pattern. The ball is made from rubber and the base is made from powder-coated, marine-grade aluminum for durability. Box Dimensions (LxWxH) 3.7 x 1.0 x 0.9"